Well hello to you my reader chums! After the ups and downs of British summer weather, we're slowly coming into the Autumn season, let's wave hello to September. I can't be the only one to say this but August did really sweep by, like all our summer months with the exciting season of Christmas that lays ahead. I have so much love for autumn; with the leaves falling off the trees, its cosy nights in, the best fashion options and makeup looks, it can't get much better. 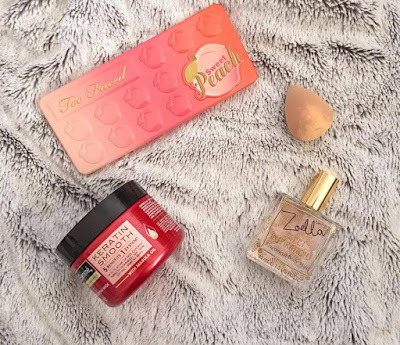 Through August, I hadn't tried out many new beauty items, however a few did catch my eye. I received this palette for my birthday and fell in love with the shade selection. Its packed with a variety of colours from everyday neutrals, warm browns/reds with bright pinks and purples thrown in. 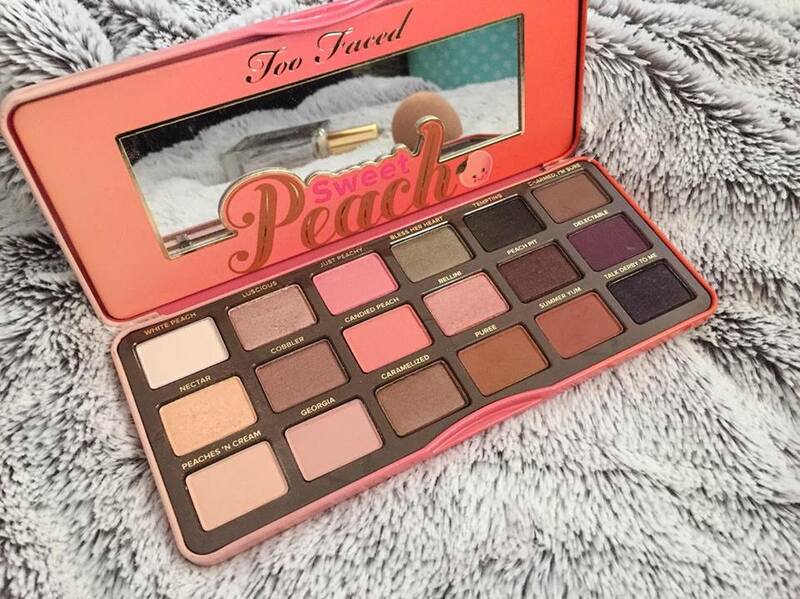 The Too Faced Sweet Peach palette has something for everyone, whether you love a toned down look or want to go wild with a bright pink. You can't fault the intense pigmentation, colour pay off, blending ability and endless lasting power; like all Too Faced products, this palette is top quality. I can't wait to use the warmer shades for the winter months and continue using its neutral shades. I'll be doing a review and makeup look very soon so keep your eyes peeled for that post! I'm the biggest fan of using sponges to blend liquid base products as I find they give the most even coverage and reach every angle of the face. My favourite to use are the Real Techniques take on them because they're incredible quality and do the job. However, I received a Makeup Revolution brush set lately and in it came their dupe on the beauty blender. After giving it a go, I was very impressed. It's slightly smaller than the Real Techniques option, however holds the product and provides that even coverage I love. 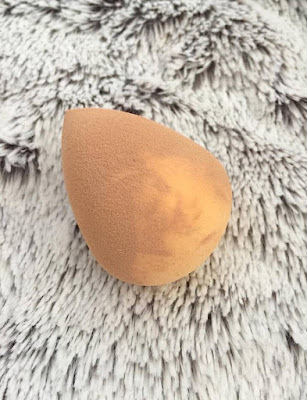 The only down side is makeup stains the sponge very easily and can be hard to wash off. Yet, if you're looking for a dupe of the beauty blender or Real Techniques version, I'd recommend Makeup Revolution's sponge. My hair has a natural curl to it and can generally look quite dry, given its slight frizzy state. When it comes to a hair wash routine, I like to incorporate highly conditioning products to bring out the shine and keep it smooth. This deep conditioning treatment helps a lot. I like to use Tresemme smoothing mask on every other hair wash as too much product for the hair isn't too good. 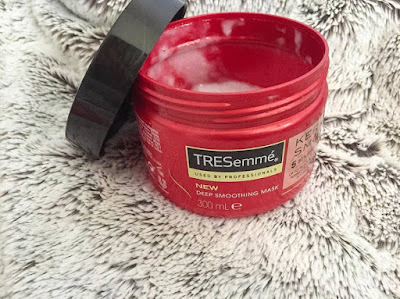 After leaving it on for a few minutes, I really notice the difference and once my hair is dry, it feels silky smooth; a must with hair products for me. Zoella Beauty mists are completely underrated. I've found that as their scents are so strong, you can wear them like a perfume and they'll last all day long. 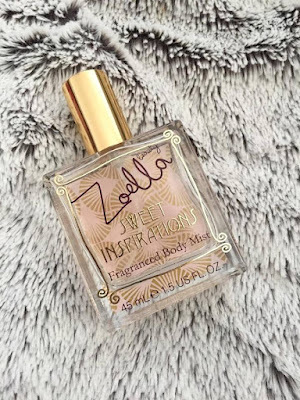 'Sweet Inspirations' has become my favourite at the minute because I'm addicted to the sweet scent. It reminds me of a mix between sweet shops and a spa, yet completely moreish, you want to keep spritzing. With sweet scents, I always find they can be too sickly, however this is much more of a lighter option which lingers throughout the day. 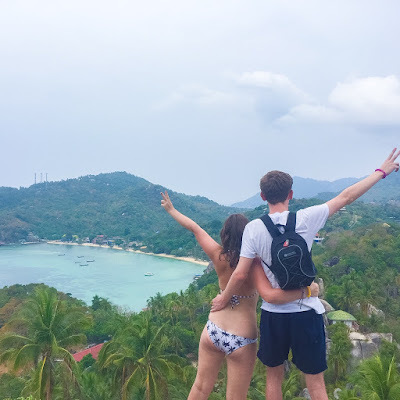 I hope you enjoyed my August favourites. What's your go to product at the minute?